Install network players with monitors rotated any way you like. Network Player installs behind your existing monitor and is ready to play your preferred tour content in minutes. Using Panasonic Commercial video panels, you can create a matrix of up to 10x10 panels ranging from just 2 metres to 10 metres wide.... and Not as expensive as you would think. Let your consumers independently interact with local tours. With the Headstation app, they can take away all the content on the screen but still be linked with your shop. Headstation's Network Signage Player is a small, networked, low-cost media player enabling Tour Operators and Tour Agents centrally manage their digital signage whether it is large tiled commercial video walls or just single retail LCD screens . All product content is networked and managed centrally allowing instant distribution and content control across all your business locations. While the Headstation product content is centrally stored on your own business's own in-house content servers or external services such as DropBox or Google Drive, content in each location is locally cached for maximum presentation performance and minimal network traffic. With content locally cached, it can then be streamed locally to multiple devices including video walls, digital signage, in-store apps and large-size retail touch screens within your Tour Shop or Operations reception. Streaming can be extended to the Headstation consumer app allowing your customers to download links to the content in your shop and access after they have left your location with options to further share content with others ... and ALWAYS link back to your store. Each screen or video wall have a small, wall-mount, low-cost player attached caching content from a central location or directly uploaded to the player from your laptop. The server unit is normally mounted behind or near its screen and can be managed remotely from a central content management system or just locally using a mobile device. Each network player have built-in Web Browser based software enabling your to play videos on-demand onto your screens. Once the on-demand video has finished playing, the device automatically revert back to scheduled content. The server comes with Ethernet and Wifi network ports configurable for manual IP addresses or DHCP. It also have specialised beacon hardware enabled for the consumer Headstation app to sense when the consumer mobile is close to the screen. The Content Management software enables your business to manage multiple video walls and digital signage. It provides tools for centrally manage all your screens regardless of their geographical location including remote screen/player configuration and content scheduling. Headstation software uses Third-party storage like iCloud, DropBox and Google Drive to store the videos. Connect the player to your LCD Panel and power up the player. 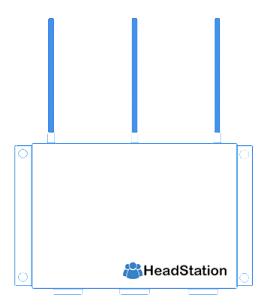 Use the Headstation software to create a Screen and pair it with your new network player. Create an Event in the software and select free video content from the Public library and the player will start. These are just some of the Tour Operators currently participating with their video content. If your operator is not in the library, just get them to create an account and upload! Video walls are a matrix of LCD screens tiled together in whatever pattern suits your wall. Each LCD is connected to a small node server which in turn is connected to a node controller. We recommend Panasonic 49" commercial 24/7 LCD Panels. Each is 1078x608mm. Content can be automatically scheduled on to the video wall using centralised schedulers or launched on-demand using in-store app tools. Content is played using the whole matrix as a single screen. Check out the Time-Lapse video when we built the wall in this popular Cairns Tour shop. Networking the players in your shop or uploading content for distribution is charged on a per day, per item subscription basis. No long-term contracts. Typically, you purchase credit blocks using your credit card which is used to update your account balance daily. Once the credit block is getting low, you will be notified. A per day subscription enables the tour shop and tour operators to manage long-term persistent content and also short term promotion paying just for usage only. Upload video and html content on the Headstation network making it available to be played on remote video walls, tour shop displays and apps is $1/video/day. The video content is made available on the public library and can be access by unlimited remote screens/players. Registering your screen/network player is $1/screen/day. This gives the shop / operations centre access to unlimited content in the Headstation public library for scheduling on your in-shop display. 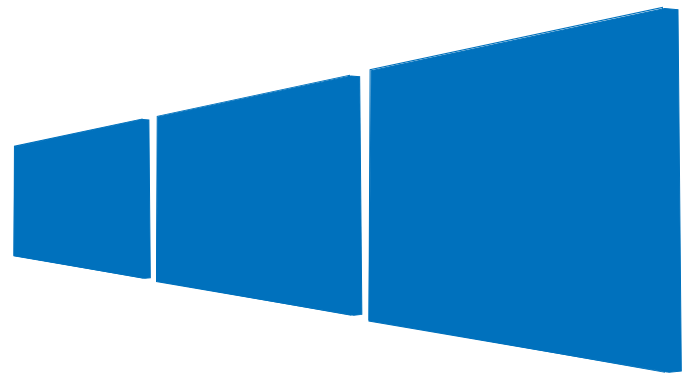 Contact us anytime to have a chat about how the network players can work in your business or how to upload content. We are based in Cairns, Australia but deal with operator nationally. You can email, phone or text us. Optionally, the players can be configured to be accessible to your consumer mobiles. The app provides limited, read-only access for the consumer allowing them to connect to the network player and automatically download player video content link for later viewing after leaving your shop. It's like a digital brochure that they take away from their phone. Once a consumer is near a screen with the app running, it will detect nearby Headstation signage screens and download streaming links for all of the content playing on that screen. Content can be replayed and share with anyone/anytime/anywhere. The app knows to which shop the screen belongs to and information associated with each product is attached such a detailed product links and booking phone numbers. For example, if screen is installed at Gilligans, it will download their booking number. The digital hook is crucial. With a hook, the seller of the tour are ensured to get maximum consumer loyalty as the app is tied to that particular shop. The content can be shared. With the hook, your can gauge how the consumer is interacting with content after leaving shop, what content is popular, sharing and call-back statistics.